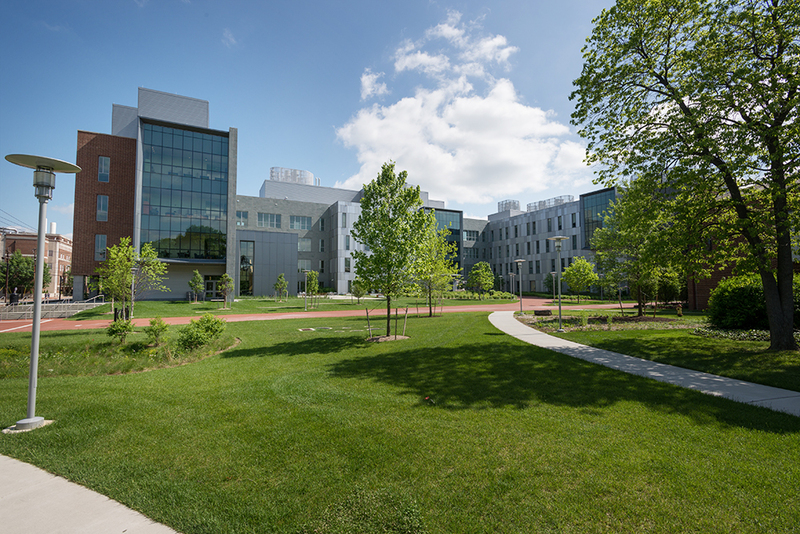 Centrally located between New York City and Washington, D.C., UD’s 968-acre campus is only minutes from Interstate 95 and easily accessible by car, train and air. Philadelphia International Airport is approximately 40 minutes from campus. Explore the map below to learn more about our location, driving directions, lodging and more. Here is a list of hotels within a five- to fifteen-minute drive of the University. Philadelphia International Airport (PHL) and Baltimore-Washington International Airport (BWI) are the two main airports closest to the University of Delaware campus. Bus services at UD include the UD Bus Shuttle, Newark Unicity Bus System, DART (Delaware Transit Corporation) and Greyhound. AMTRAK and SEPTA operate a vast network of fixed route services including bus, subway/elevated, trackless trolley, light rail and commuter rail serving a 2,200-square-mile service region. Metered parking available on Lovett in the lot directly across from the Harker ISE Lab. Garage parking is available at the Perkins Garage on Academy Street.